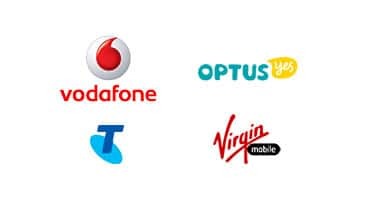 What phone company has the best customer service in Australia ? We’ve all had experience of the phone companies we use. Most perceive the service they get to be ‘mixed’ at best. Customer support and service is an overlooked and important component of the service you are buying from your phone company. T98% of us now have a mobile phone. And customer service has never been so important. We’ve come to rely on mobile phones. For businesses, a missed call is missed work. For individuals, voice calls and SMS on phones assist in organising the lives of most Australians. They expect the service they buy to work constantly. After all, the bill you get from your telco doesn’t stop for a while if the network goes down does it ? And with people now spending 3 times as long looking at their Smartphones ( browsing, emailing and using applications etc ) as they do talking or texting, our ‘need’ for them is increasing every year. As a result, when the mobile phone you bought from a telco stops working – it’s an extremely disruptive issue to most people. Every company in the world, including phone companies, are nice to people when they’re selling to them. That process might involve some internet research for you and a trip or two to the telcos shops. You are in the presales ‘stage’ of your shopping for about a month. When you’ve bought your phone, you will spend between 2 and 3 years living with it. During that time, the only experiences you will have of the phone company you’re with are their network coverage and the calls you make to their representatives in the customer support arena. The latest report on customer satisfaction from Australian telcos was undertaken in mid 2017 by the communications alliance and Roy Morgan. The report ranked those companies according to their performance over the previous 6 months. This is a surprisingly good result. It does not apply across the board to all telcos as we point out below. Telcos have really focused on making this aspect of their service clearer and easier to understand. There is a good commercial driver for giving this attention. When people got their first phone bill, they often failed to understand it. So they would call the call center. Which cost a lot of money ! Which means 40% did not think they were done well. 9% of people were very dissatisfied. What do all the statistics mean !? What it means is that there is a significant difference between the levels of service you’re likely to get at the different phone companies. The gap between first and second places is actually pretty small. These stats change all the time. The Roy Morgan study is run regularly and tracks the trends more than it does the single point in time. The reality of customer service is that it works best when you don’t use it. People consider their phones to be utilities. Like a tap, they expect the phone to work all the time, without fault. This, frankly, unrealistic belief is the start of the problem. No technology ever works all of the time. Of course there are going to be network outages here and there. If there is a problem with their phone, people call the phone network but Vodafone didn’t make your iPhone ! In many regards, the phone companies who get it right are the companies like OVO Mobile, Lebara or Kogan who sublet spectrum from the bigger networks. The fact that they don’t have to worry about maintaining and improving the network means they can focus on customer satisfaction through their call centers. They weren’t mentioned in this report but smaller phone companies often come out on top of this sort of customer experience survey. Within telcos, teams of people are tasked with improving the customer experience. However, against that background, customer expectations rise every year too. The job for the telco is to outpace customer expectations so that the perceived experience improves. While service is only part of the overall experience of purchasing a mobile phone and using it for the 2 years of the contract, it’s key.